12 Fairy Princess Wands for your little princess. This listing is for 12 multi colored fairy princess wands. 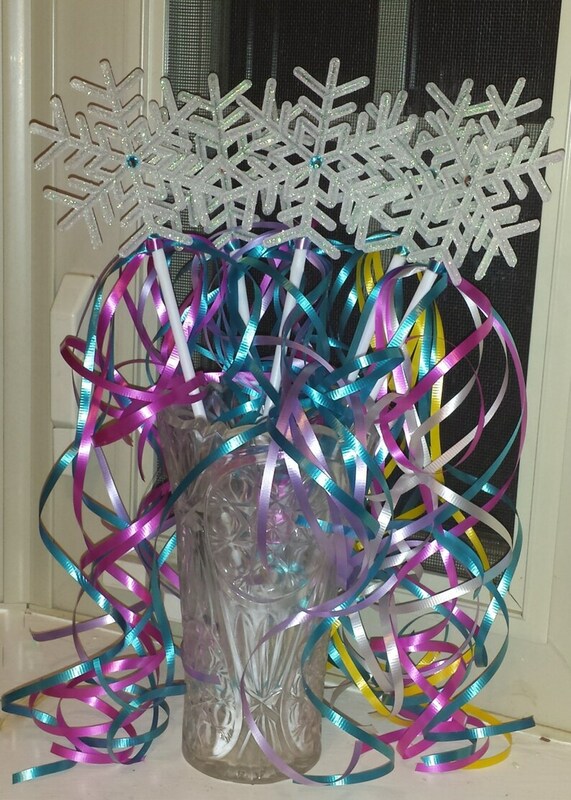 White plastic sticks with white plastic glitter snowflake, a jewel center, jingle bell and flowing ribbons. These wands are made to order. The perfect party favor for your Princess/Fairy Party. We are a family operation. Each item is handmade so there will be slight variations in size, style and color. Depending on our order volume our turn around time will vary. If you have a specific date needed please comment in your order. We will work hard to accommodate most requests. We can also custom for the exact amount you need or specific colors. Just click our request a custom order button.